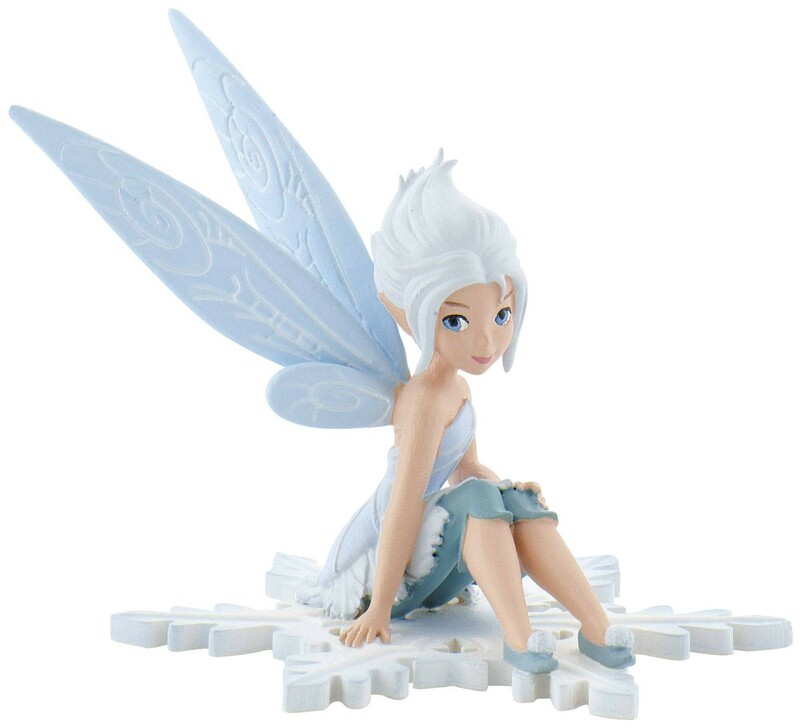 Bullyland Disney Figurine, Periwinkle, sitting on a snow flake. Bullyland Disney Periwinkle. She is the twin sister of Tinker Bell. She is curious, fun-loving, bubbly adventurous, excitable , caring, warm and friendly. Periwinkle's goal is to explore the warm regions of Pixie Hollow and save all of Pixie Hollow from eternal frost.